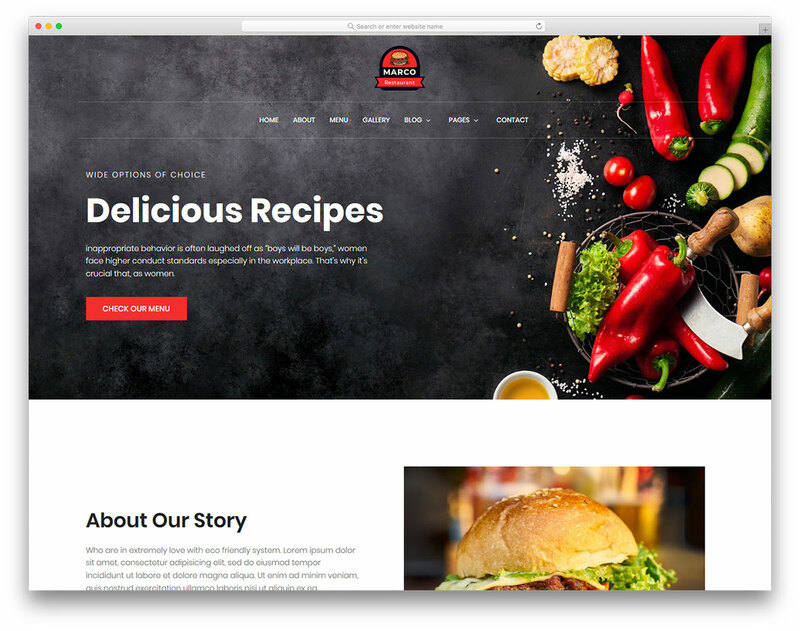 Without a doubt, Diner is one of the coolest and most unique free restaurant and cafe website template out there. 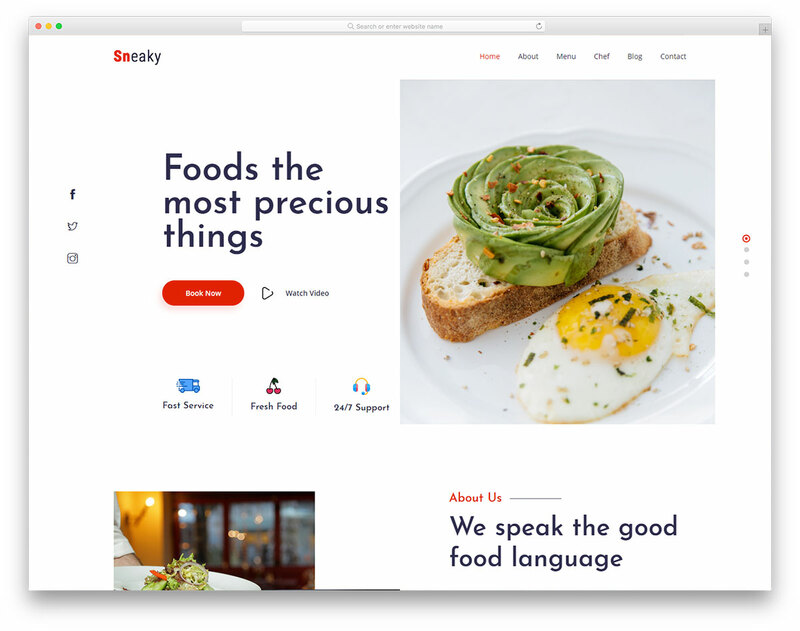 It provides all the essential material and then some to bring your restaurant, bistro or any other food-based business to the internet in a distinct way. 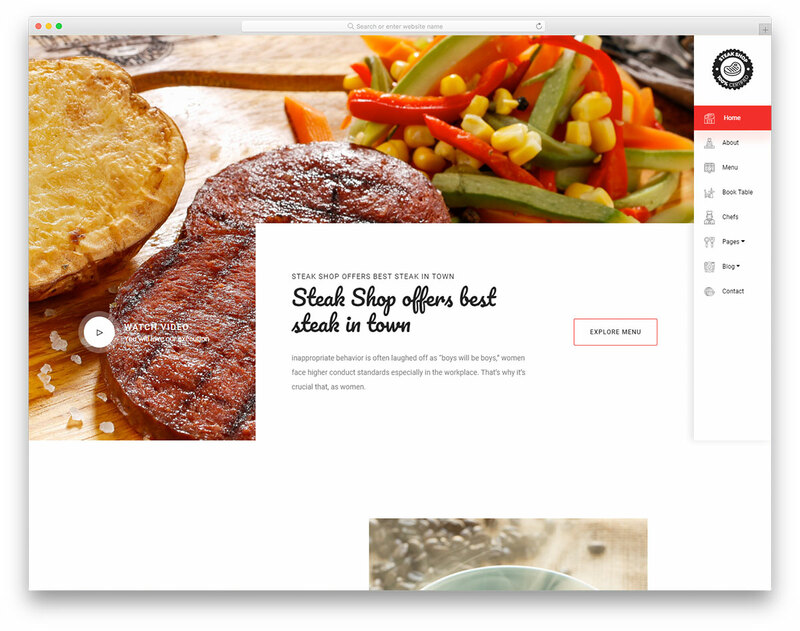 Luxuriate all your visitors with your quality cuisine and fresh food and hook them forever. 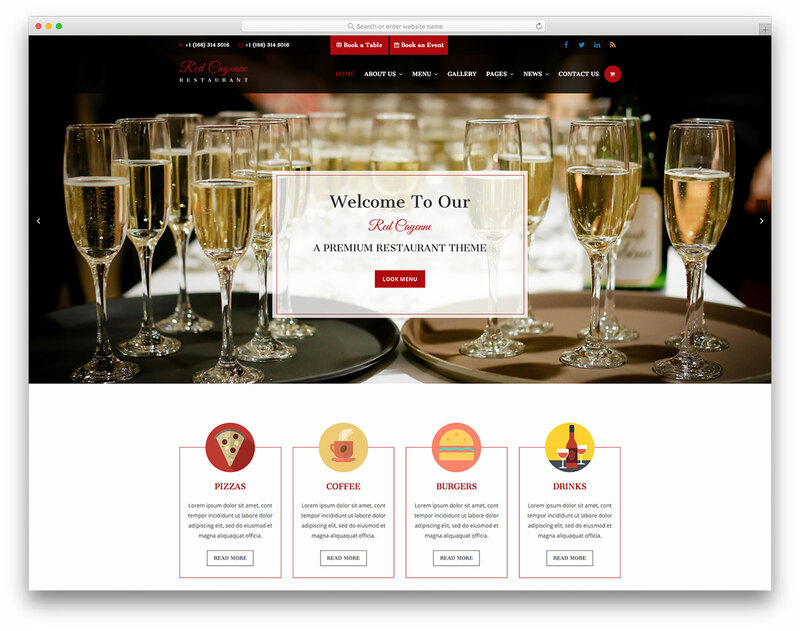 Diner comes with a responsive, professional and luscious homepage design along with several other inner sections. 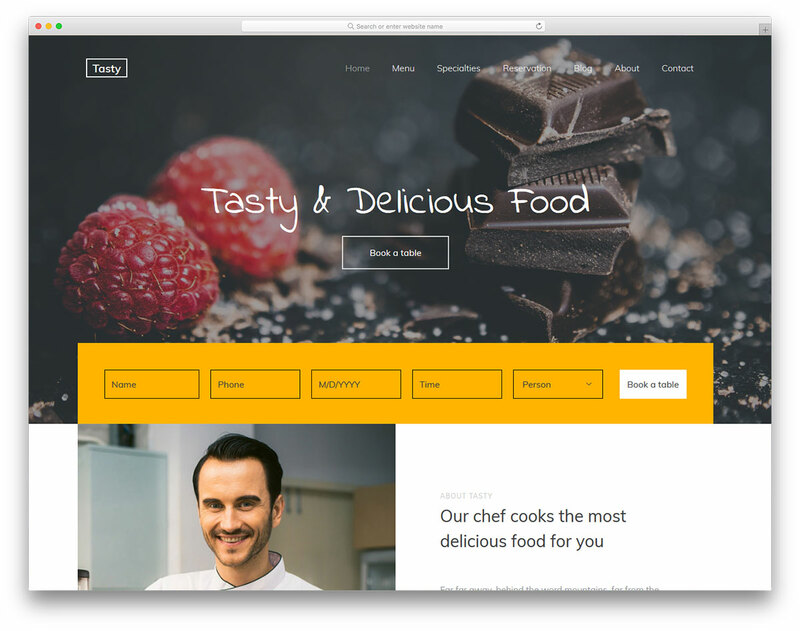 It covers every sector of your restaurant business and gives you a chance to bring something novel to the table. Mentioning all the incredible special effects here would take too long, so make sure to check the live preview and be impressed. However, we need to bring up that you get all three, reservation, contact and subscription forms part of the Diner kit. Hello, I have a leather company and I have started generating some good numbers in organic traffic and sales. I really really like this theme, it’s beautiful. 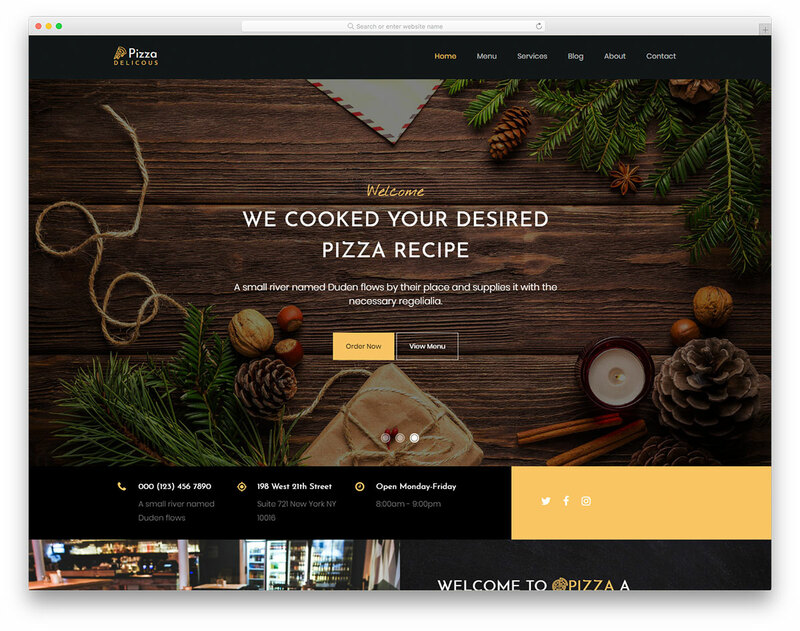 It appears that it’s a free theme, but it seems that i can’t use it in a Shopify store, so I’m asking if you can send me a Shopify store version ? I will let footer credits in place. We don’t have a Shopify version for it. 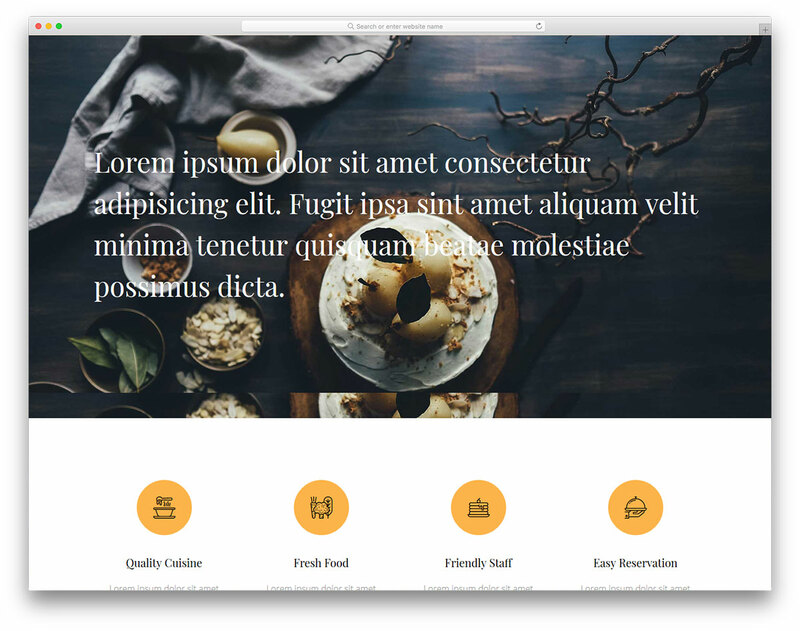 It is a simple HTML template.